"Separate tax returns may give you a higher tax with a higher tax rate. The standard deduction for separate filers is far lower than that offered to joint filers. In 2018, married filing separately taxpayers only receive a standard deduction of $12,000 compared to the $24,000 offered to those who filed jointly." In the context of standard deduction, you either can claim $12K deductions each (total of $24K) if you are filing separately or you can claim $24K in total if you file jointly. Essentially the two people would be getting the same deduction in total. Or am I missing something? How is standard deduction for "separate filers is far lower than that offered to joint filers"? Your standard deduction adds up to the same amount, but when you file MFS the tax brackets are not the same as the brackets for MFJ. And you lose several credits when you file MFS--you cannot get education credits, earned income credit, or the childcare credit. If you were legally married at the end of 2018 your filing choices are married filing jointly or married filing separately. Married Filing Jointly is usually better, even if one spouse had little or no income. When you file a joint return, you and your spouse will get the married filing jointly standard deduction of $24,000 (+$1300 for each spouse 65 or older) You are eligible for more credits including education credits, earned income credit, child and dependent care credit, and a larger income limit to receive the child tax credit. If you choose to file married filing separately, both spouses have to file the same way—either you both itemize or you both use standard deduction. Your tax rate will be higher than on a joint return. Some of the special rules for filing separately include: you cannot get earned income credit, education credits, adoption credits, or deductions for student loan interest. A higher percent of your Social Security benefits may be taxable. Your limit for SALT (state and local taxes and sales tax) will be only $5000 per spouse. In many cases you will not be able to take the child and dependent care credit. The amount you can contribute to a retirement account will be affected. If you live in a community property state, you will be required to provide additional information regarding your spouse’s income. 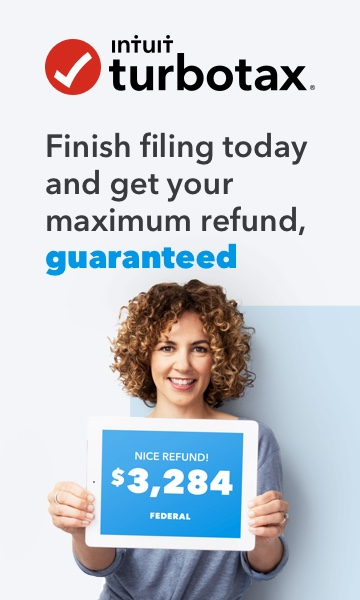 ( Community property states: AZ, CA, ID, LA, NV, NM, TX, WA, WI) If you are using online TurboTax to prepare your returns, you will need to prepare two separate returns and pay twice.